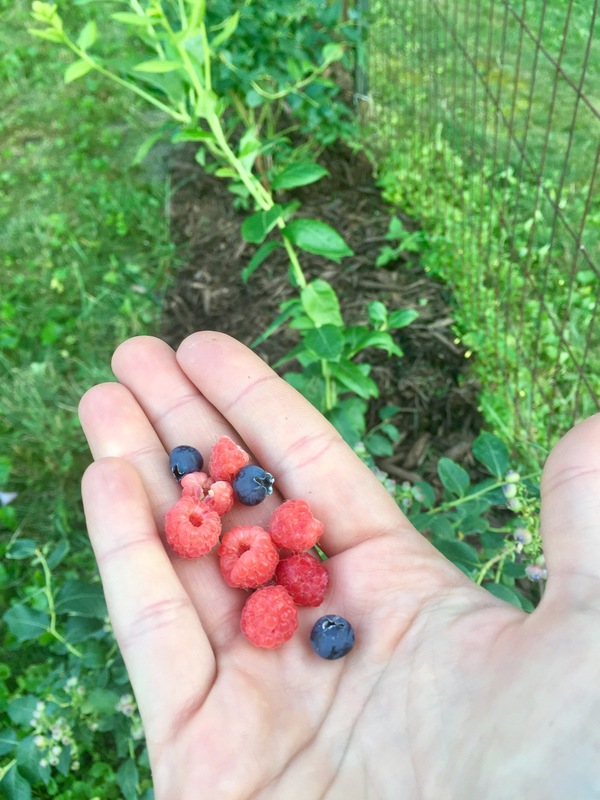 This trip to the lakehouse, I did some planning for future happiness by planting food bearing bushes and trees in our yard. We did take them home and put a handful of them in a jar with wet dirt and left them at the back of the fridge all fall and winter. This spring I noticed roots around the edge of the jar. We took it out and put it under my grow lights. Before long we had two lovely little saplings growing. One wilted before it was warm enough to go outside but the other grew strong and straight. Eventually I repotted it into a larger pot. This trip I decided it’s best chance for survival was to return it to its natural climate. We planted it in the backyard by the canal. Fingers crossed it’ll survive the winter and be even taller by its second birthday! Then, I went to lowes to get some mulch and they had apple trees on sale for $16. I couldn’t resist and brought home three semi-dwarf trees. 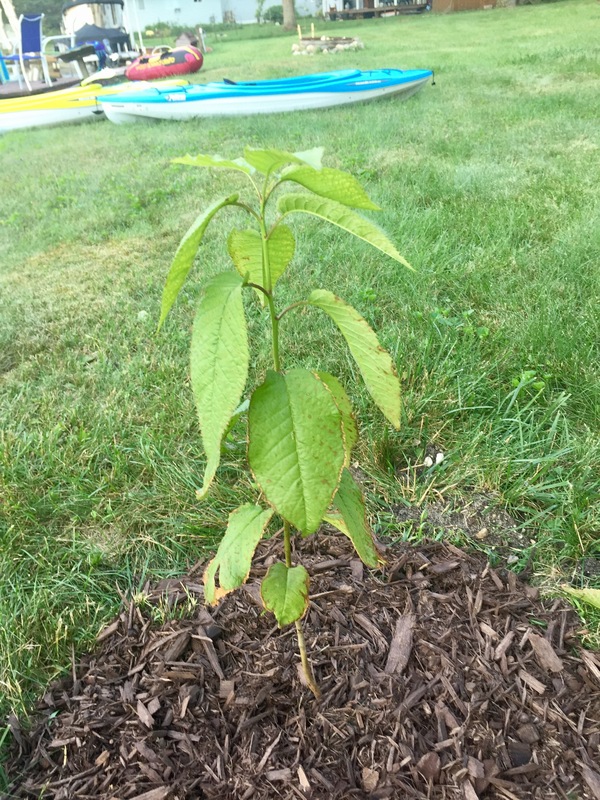 I planted two out back and one in the front yard. Josh was not happy that I was planting “obstacles” in the grass but I just kept assuring him it’ll be worth the little bit of extra time it takes to mow when we can just go out in the yard and harvest fruit from our own plants. He really wasn’t happy when I came home the next day from the fruit market with two raspberry and two blueberry bushes! 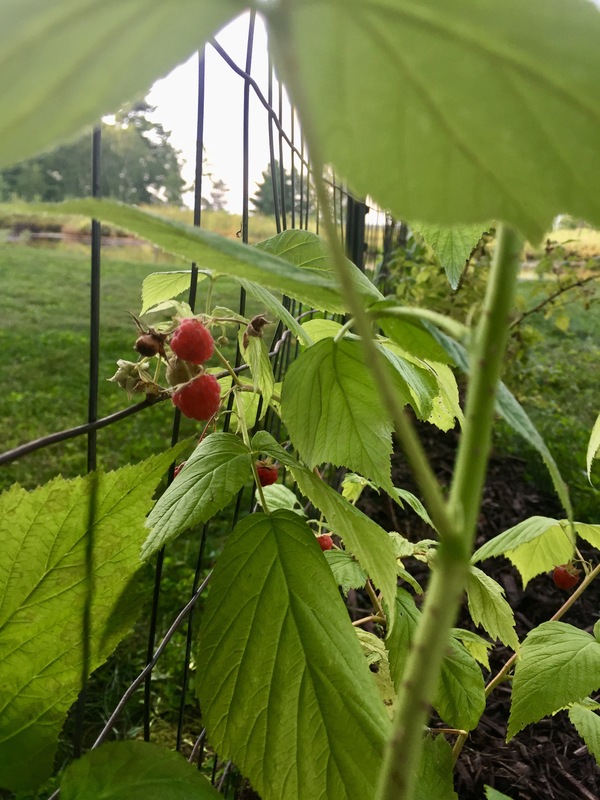 I tucked them in along the fence line, where there were already a few raspberries growing. Next on my list this fall is currants, which prefer this cooler climate to ours down in Ohio. 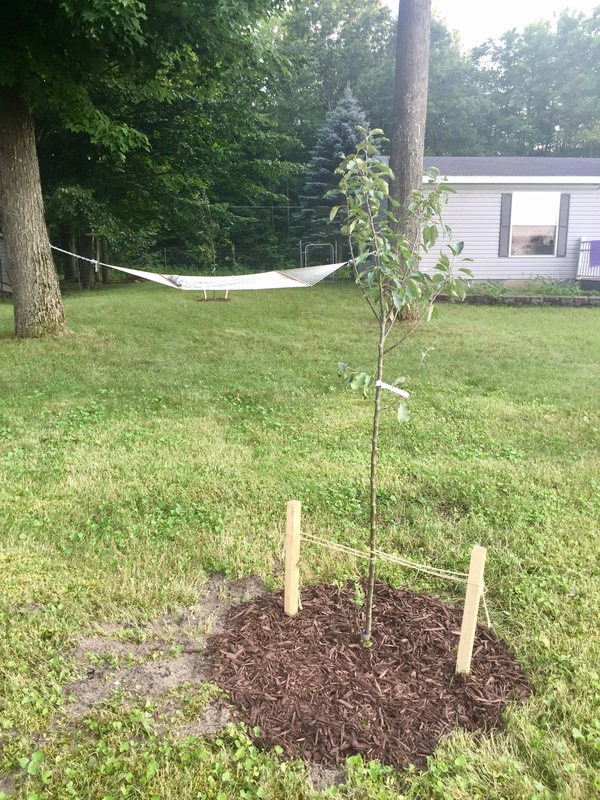 If you think of planting trees and bushes as an investment in future happiness, a hope that you’ll be around to enjoy the fruit of your patience, then the future is looking bright here at lake manistee!